Coloring Without Borders: Half his life abroad: a third culture kid? Is he a third culture kid yet? He meets the criteria: a significant part of his developing years — actually, half of his lifetime so far — has been spent in a culture different from his parents' culture. 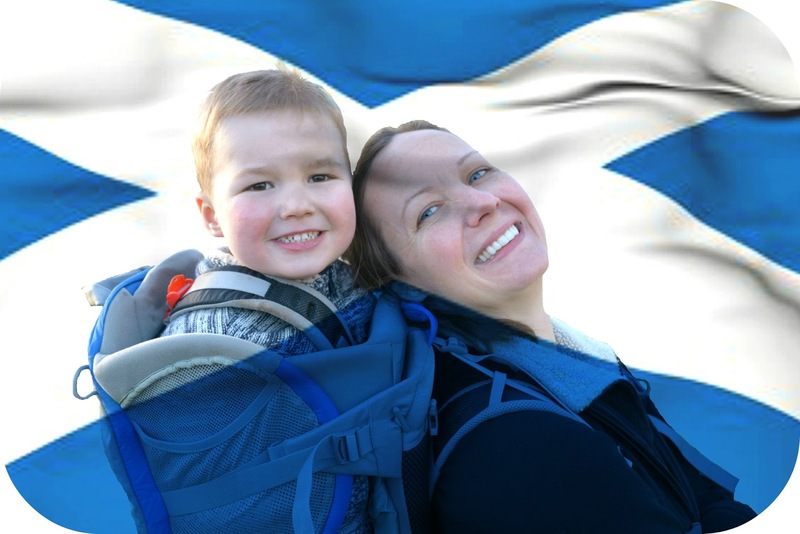 That means the culture of his parents (American) and the culture of his new nation (Scotland) are merging together for him into a third culture. Definitionally, he's a third culture kid. But I'm not quite so sure. Jackson turns four today. These past several weeks he has been laser-focused on the idea of being four instead of three, an event so exciting to him it's akin to a teenager finally old enough to drive. Counting down the days. Making doubly, triply, thousandly sure he'll receive presents. And a cake. And balloons. A glorious vision shines in his mind which I'm not sure we can meet, though we're trying. Meanwhile, his birthday obsession has led me to reflect on his progress in our cross-cultural life. Is Jackson truly cross-cultural? His memories of the United States are vague at best; the States are simply a faraway place where the rest of his family lives. If he knows any culture, it's Scotland's. But how much culture does a toddler — eeek, he's now a "preschooler" — really encounter? Is Jackson really a third culture kid? As it is, the American and British cultures are pretty darn similar. Scotland is slightly more exotic than England, though our urban life in Glasgow is mostly indistinguishable from urban life in the rest of the U.K. While the cultures differ in some aspects, Americans and Brits share a common language, a long and cherished history, and many values, mores, and customs. Television, film, fashion, music, sports, and numerous other areas of life intersect with ease. For an American, probably only Canada feels more similar. America and Scotland do have distinct cultures. No argument there. But as a second culture for Jackson to assimilate, Scotland has charming variations rather than glaring contrasts. More significantly, Jackson spends the overwhelming majority of time with us, his American parents. Although we get out and about nearly every day, travel the country regularly, and embrace opportunities to expose him to all manner of activities, he still encounters almost all life with our guidance and explanations. His view of Scottish culture gets skewed through our American prism and frame of reference. As he gets older and spends more time away from us — increased time at nursery, then kindergarten and primary school — our influence will recede a bit. He'll have real friends and peer groups. Sports teams. Teachers and coaches. Music lessons. Growing exposure to television. Gradually he'll slip out from our de facto bubble. For now, though, our inevitable filter stifles many of the cultural differences that he may experience later. Both the mildness of cultural differences, as well as the vast parental influence we wield, give me doubts about how much third culture experience Jackson gets. The primary reason I doubt his third cultureness, however, comes from how quickly it would disappear if we returned to the United States. He just turned four. How much do you remember from your early life? Perhaps some images, a few short moments. But not much, I'm guessing. If we immediately repatriated back to the U.S., Jackson likely would remember almost nothing of his Scottish life. By the time he was a few years into primary school, he'd have only fleeting glimpses of his prior life. The older he got, the less he'd retain. So far, he hasn't truly had a first culture and second culture merge. They have not amalgamated. Scottish culture has flavored and overlain his life, but it has not yet fused with his American roots and influences. He uses some British terminology — he calls a flashlight a torch, for example — but the vocabulary would disappear if he lived in the States. At this early point of life, his Scottishness is ephemeral. Nor will another year or two be enough. Until he's had a few years of primary school, he won't be sufficiently immersed into Scottish culture to retain any of the culture if he moved away. Toddlers, preschoolers, kindergarteners, first and second graders — these kids generally have neither the exposure nor the permanent memories to transform their expat experiences into a fused, hybrid culture. Obviously, there's no exact cut-off point for when a third culture life begins or how long it has to last, but the early childhood years don't lend themselves to a true third culture experience. 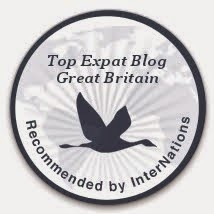 And so, I take a restrained view of third culture labels. Perhaps I'm too stingy. But while Jackson meets the definition of a third culture kid, I don't think he is one.